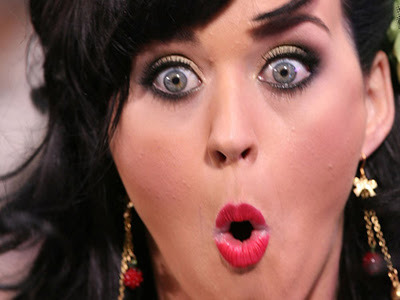 Katy...I'm feeling the EXACT same way! #2 We have just 13 days until Easter. It's time to get your Easter dress shoppin' ON! I have a fun dress post planned later this month. Tab and I have an out-of-town wedding and I have some dress options I'd love for you to help me with, but for now...let's talk Easter dresses. This shift dress arrived and I loved it so much I wore it to church yesterday. It's just easy. I added a fun necklace and some leopard heels. It's plenty long and with the sleeve-definitely church appropriate. I'll wear it with wedges this summer and a jacket with booties in the fall. I ordered this dress from Anthropologie and now it's on MAJOR SALE!! I'm normally a small in pretty much everything, but I could probably wear this in an extra-small. With that said, I kind of like the flow-y look so I'll probably keep it this way. The colors are gorgeous AND it has pockets! If you're a girl who likes all her people to coordinate on Easter, this is a GREAT option because there are SO many pretty colors. See what I mean about the colors? Gorgeous! And you're welcome-my eyes were mid-blink and you didn't want to see that. hahaha! This dress is one you can dress up or dress down...to church on Easter Sunday and dinner out at the beach this summer. I'm a big fan. This Lily Pulitzer shift dress screams "SPRING" to me! The colors (I forgot to get a better picture) are vibrant and really pretty. Perfect for Easter. Hard to tell from the picture, but this dress is navy and white. I'm a big fan of this fit-and-flare style...fitted at the top and flares out a bit at the bottom. And another dress with pockets! 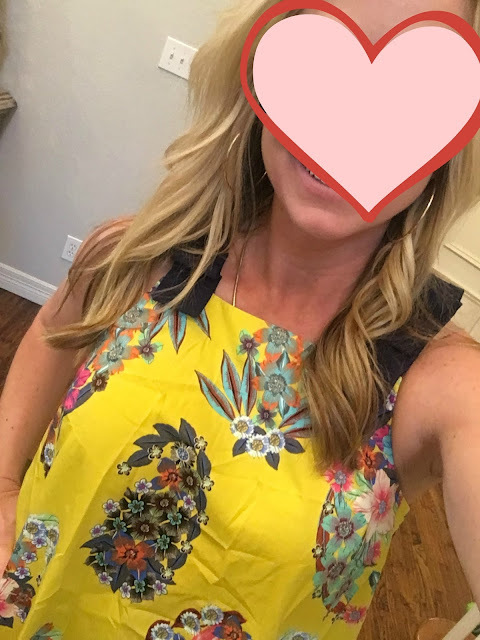 This floral dress is my FAVORITE! Spoiler alert...this is my Easter dress. ;) I love the floral pattern, the sleeves, the length...love it all. And Ebby Lee in the background proves my point...mom blogger not a fashion blogger. Like I said earlier, our "dress talk" for the month isn't over. :) I have several options that are more "wedding" looking and I'd love your help weighing in. I'll be sharing those soon. The blue dress was really pretty at church yesterday!!! Stripes, please!!!!! Fit and flare looks GREAT on you! That yellow dress looks so great on you!!! And I'm pretty sure I just ordered the navy and white striped one. Good finds, girl! That blue shift dress is so cute - love the necklace you paired with it, too! Pretty dresses! Love the sleeves on that pink one! And your Easter dress was definitely my favorite. My vote is the pink bell sleeve dress but they are all stunning on you! All of these are darling! I love the shift on you! And, Lily Pulitzer just makes me happy! Good finds, friend!! That yellow dress is my Easter dress! It is so comfy and will be perfect when it is 852 degrees in the summer!! You make them all look good! I wish I had the legs for those cute dresses! Love the one you picked for your easter dress! Thanks for being real with the posts...they make me smile. Look forward to your blog each day. Oh before I even a scrolled to see the comment.. I thought yes that's my favorite ( your easter dress)it was perfect !!! The yellow dress, and the one you picked for Easter are SO pretty! And they all look great on you - thanks for sharing these picks! Beautiful dresses. How about ideas for Easter baskets! You are beautiful and I LOVE your Easter dress! Adorable! What is your height and weight 😉? Gah. I just have to say I about burst into tears seeing the photo of your grandpa and Bowen. Made me miss my grandpas something fierce. Seriously, I had to close my office door at work and have myself a moment. Happy birthday to him! I LOVE the dress you picked for Easter... you look like a watercolor painting! I'm about 5'7" and 125 pounds...if that helps? That floral dress is so pretty! I need to purchase that--I think it would look so cute paired with my denim jacket and some wedges! Love these options! Perfect Easter pick! Off to scope that one and the striped one out!! Your Easter dress is my favorite...hands down!! They all look great on you though. I did love the pink one. Simple and very pretty. You look beautiful in all the dresses! I love your Easter dress. What size did you order (it says the regular sizes run large)? I ordered a 2 and it was perfect. I'm usually a 2-4 just depending on the fit. How would you say the LP dress fits? Pretty true to size? I'd say true to size but on the smaller side. If you're in between-I'd order up. Thank you! All that was left was a 4 and a 6P so I ordered both! Hoping one works. Oh gosh! Fresh pjs every night?? We wear ours for two nights and if we are in a place on vacation that we can do laundry, I just pack two pairs for each person and wash them! I am glad you asked about the off the shoulder tops and cold-shoulder tops! I don't like them at all!! They seem to be a younger style to me.. like for older teens and early twenties? I cannot get into them. Love your easter dress!!!! And the striped one on you! Too cute!